The Orkney year should be seen rather as a stark drama of light and darkness. In June and July, at midnight the north is always red; the sun is just under the horizon; dawn mingles its fires with sunset. In midwinter the sun intrudes for only a few hours into the great darkness, but the January nights are magnificent - star-hung skies, the slow heavy swirling silk of the aurora borealis, the moon in a hundred waters: a silver plate, a broken honeycomb, a cluster of fireflies. The name Orkney is a corruption of the islands' Old Norse name - Orkneyjar. Pronounced "orc-nee-yahr", the name is generally taken to mean Seal Islands. 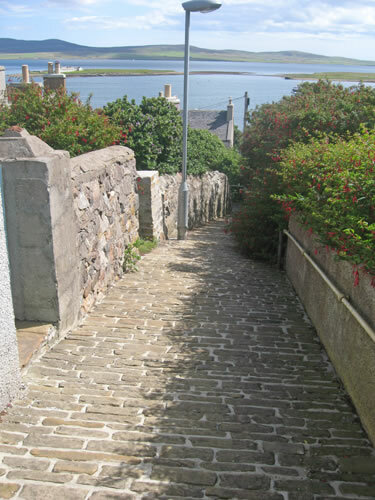 The Orkney Islands have been inhabited for at least 5,500 years. Originally inhabited by Neolithic tribes and then by the Picts during the Iron Age, Orkney was invaded and finally annexed by Norway in 875AD and settled by the Norse. It was subsequently annexed to the Scottish Crown in 1472, following the failed payment of a dowry for James III's bride, Margaret of Denmark. 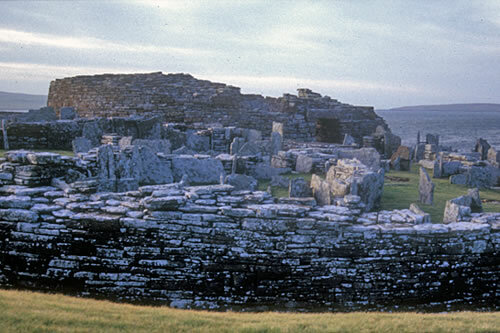 Orkney contains some of the oldest and best-preserved Neolithic sites in Europe. Thank you for taking the time to look into a holiday in Orkney. I will try to give you a taste of what’s on offer but as so often said by visitors “we came for a week but could have stayed a year and still not have seen it all”. Orkney’s claim to be Scotland's 'secret jewel’ is well founded, of all the Scottish Islands; it has the widest range of attractions to offer the visitor. There are marvelous walks along the dramatic cliff tops, and also quiet and excellent sandy beaches for lazy days in the sun. 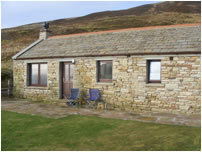 Loch fishing in Orkney is free and boat hire is available. The islands have been steeped in history since prehistoric times. 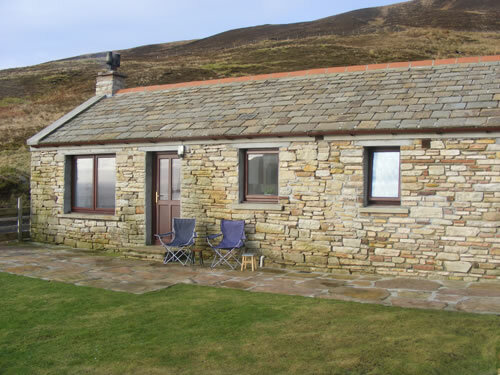 If you choose to holiday in either Franklin's View in Stromness or Scar in Hoy, you'll be renting traditional, stone built dwellings, which have been carefully restored and tastefully decorated by the owners to create cosy and comfortable holiday accommodation. 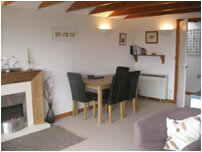 Franklin's View has a charming and cosy atmosphere befitting of a holiday cottage. The open plan living and dinning area has a bright and airy feel which is encouraged by the large panoramic windows, looking over the rooftops to the Harbour and Scapa Flow. Franklin's View sleeps four between two bedrooms. 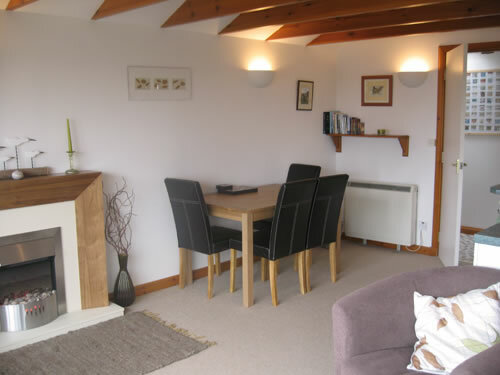 It boasts its own private and secluded garden with drying green and garden furniture (ideal for a BBQ or relaxing). Local shops, restaurants and bars are only a short walk away, along the picturesque cobbled streets. There is a museum and a library within five minutes walk. 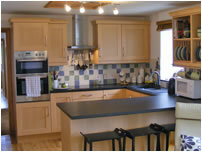 Scar Cottage in Hoy is a recently renovated holiday cottage. High on the hill of Moor Fea, Scar is reachable by car and offers stunning views over the beautiful sandy Rackwick bay. 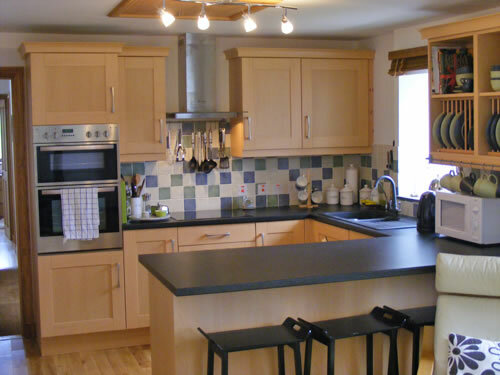 Fitted with modern appliances, five people can sleep between two bedrooms, and enjoy a luxurious and exhilarating outdoor holiday!